I have learned something about the average vegan since I started this site three years ago – most of you love chocolate. That’s what I had to share the recipe for these vegan chocolate waffles. You can thank me later. Do you have a date and time in your past that you can remember so vividly it was like this morning? I have a few of those of one of them involves chocolate waffles. This is before I went vegan. I was dating this guy that I thought would be my ‘forever guy’ but he turned out to just be a fun part of my past. We have the best time together every single day. He was one of those that can make you laugh so easy. He also happened to have been vegan at the time and I wasn’t. I was still a vegetarian then and he was always trying to get me to take the final step to being a vegan. He was always trying to show me how I wouldn’t miss eggs and butter at all. One day I woke up to these amazing waffles and fruit being served to me in bed. These chocolate waffles were to die for and I felt like an actual princess as he laid beside me and watched me eat every last bite of them. He waiting until I was finished eating to ask me if I loved them and of course is said yes. That’s when he revealed to me there was no egg or dairy in them. I was pleasantly surprised and it’s something I look back on fondly. I didn’t make the switch to vegan that day but I can say those delicious vegan chocolate waffles were certainly one of the triggers along my path. I wonder what ever happened to him. I want that waffle recipe! Unfortunately I don’t have his original chocolate waffle recipe but I do have one that’s just as good. 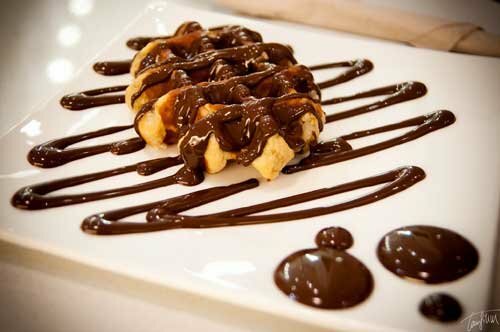 These chocolate waffles are super easy to make and delicious. It also includes a vegan chocolate syrup recipe too. Are you ready to start making some waffles? 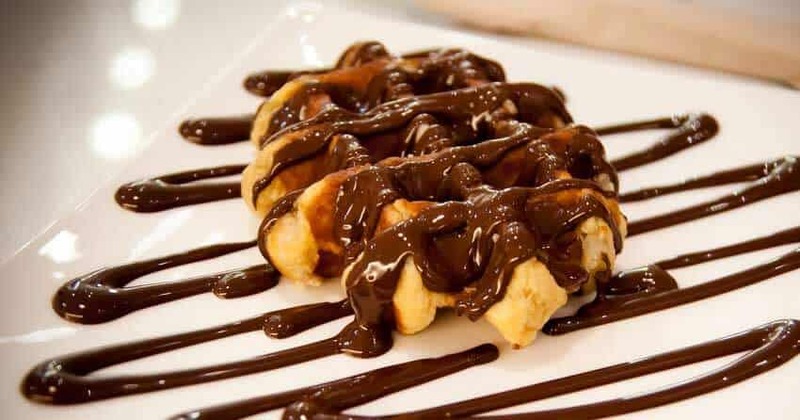 If so then you can click the next page below to get this easy vegan chocolate waffles recipe. It’s exactly what i’ve been missing! !